There's a whole heap of excitement brewing at Gorge Amphitheatre, as preparations take place for The Avett Brothers! 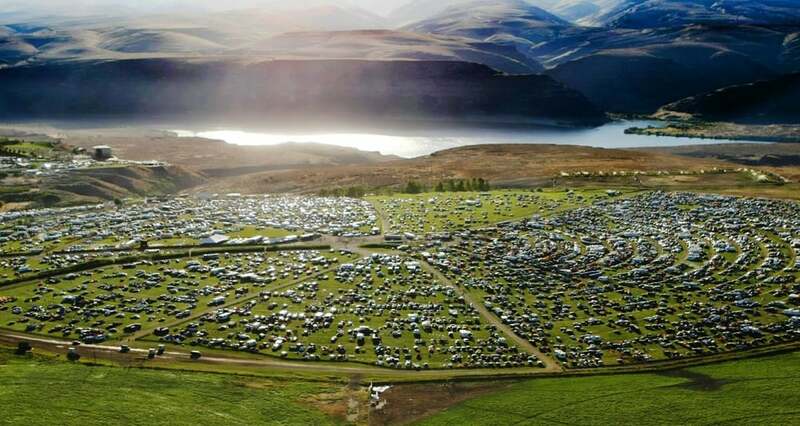 Why not make it a whole weekend event with booking camping tickets for you and your friends! The George camping experience is like none other with the breathtaking views that surround the area… Click to purchase yours online today. The North Carolina Folk Rockers – The Avett Brothers are one of the most popular live acts to go and see, as they showcase a blend of roots music in a simple yet powerful way. Made up of two brothers, Scott Avett (banjo) and Seth Avett (guitar), this band also features as well as Bob Crawford (double bass) and Joe Kwon (cello). Mike Marsh (drums), Tania Elizabeth (violin) and Paul Defiglia (keyboard) are known to also hit the road with them on tour. The Avett Brothers have crafted a unique sound that has been described by the San Francisco Chronicle as having the "heavy sadness of Townes Van Zandt, the light pop concision of Buddy Holly, the tuneful jangle of the Beatles, the raw energy of the Ramones." If you are a fan of feet stomping folk music, then you will instantly get the vibes of bands such as; Mumford and Sons and The Lumineers too. "The Avetts engender a warm, communal feeling, as if they’re playing with you, not at you, and their diverse, adoring crowd returns the love through every shouted lyric and hand clap. “This has been one of the kindest cities to visit,” Scott Avett said early in the show. That kindness was demonstrated to these longtime Atlanta Braves fans before the encore, when the crowd broke into the team’s “Tomahawk Chop” chant to lure them back to the stage."